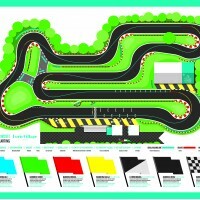 •	Kart Track: 461 meters professional outdoor kart track. 10 brand new karts and a wide range of offers, from the GP Classic to all its variants in terms of numbers of drivers and duration of the event will satisfy every team building. Fasten your seat bells and get ready to ride !